A new era for the Black Panther begins as the kingdom of Wakanda enters what might be its final days! 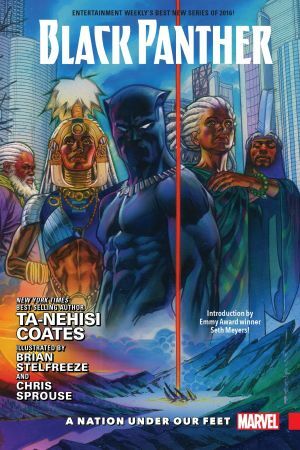 National Book Award winner and New York Times Best-Selling author Ta-Nehisi Coates (Between the World and Me) confronts T’Challa with dramatic upheaval in his homeland that will make leading the African nation tougher than ever before. When a superhuman terrorist group that calls itself The People sparks a violent uprising, the country famed for its incredible technology and proud warrior traditions will be thrown into turmoil! As Zenzi and Tetu, leaders of The People, poison the populace against its king, the spirit of T’Challa’s presumed-dead sister, Shuri, makes a transformative journey through Wakanda’s past, and a group of heroes, including Storm and Luke Cage, come together as The Crew to help Black Panther out. 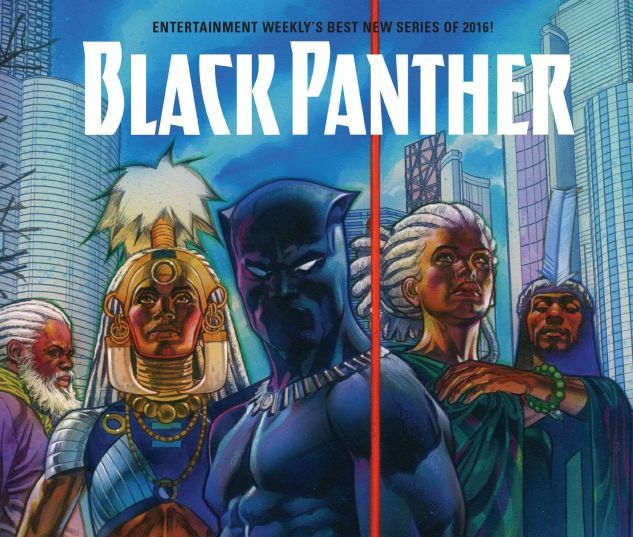 If Wakanda is to survive, it must adapt — but can its king, one of a long line of Black Panthers, survive the necessary change? Heavy is the head that wears the cowl! Collecting BLACK PANTHER (2016) #1-12.